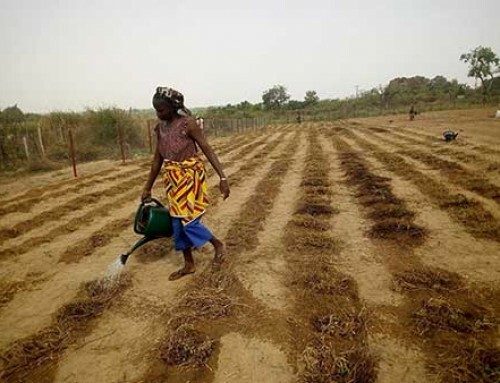 African traditional vegetables have immense potential to contribute to the nutritional security, health, and sustainable development of the continent, yet the production and consumption of these valuable crops remains low. Amaranth (Amaranthus spp.) is a popular traditional leafy vegetable grown and consumed in many parts of Kenya. The leaves are rich in protein, vitamins, and minerals. Amaranth grows fast and produces a high yield of leaves; ample amaranth harvests mean there is more—and more nutritious—food available for consumers, and more opportunities for farmers to generate income through frequent sales of amaranth leaves. 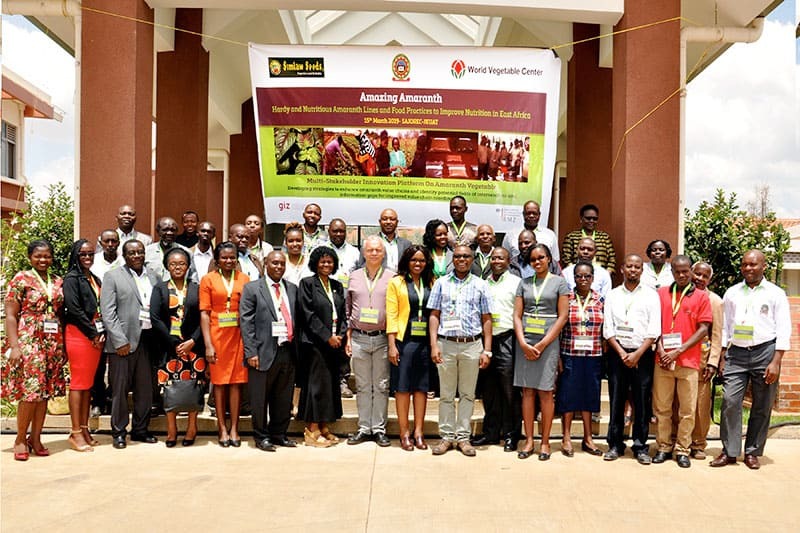 During a one-day stakeholders’ workshop on 15 March 2019 for the “Amazing Amaranth” project convened by the World Vegetable Center in collaboration with Jomo Kenyatta University of Agriculture and Technology (JKUAT), 51 participants including farmers, traders, seed processors, consumers, marketers, and the media sought to strengthen partnerships to enable all to benefit from growing and eating more amaranth. 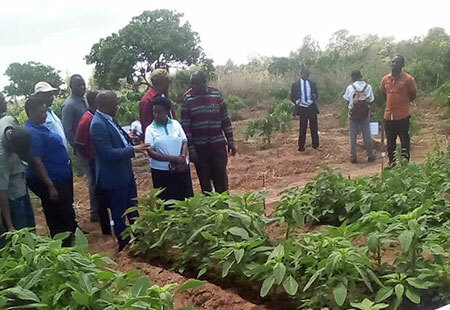 The project, funded by BMZ-GIZ, promotes the use of amaranth germplasm and focuses on high nutritional value as an objective for project plant breeders. Prof. Mary Abukutsa, Principal Investigator for the JKUAT research team, made a strong case for amaranth, and indicated researchers are keen to “re-position traditional vegetables and the amaranths for nutritional security, health and sustainable development.” She noted the low uptake of traditional vegetables against the minimum recommended level of 73 kg/person per year. Nigeria consumes 60 kg/per person per year, followed by Kenya, which is below 40 kg annually. Uganda, Ethiopia, Democratic Republic of Congo, and Mozambique have the lowest consumption rates, below 20 kg/person per year. Traditional vegetables can be harnessed to reduce incidence of diet-related diseases, provide essential micronutrients and fiber, alleviate malnutrition, and contribute high levels of antioxidants to diets. “African traditional vegetables provide new income opportunities that could be the engine to drive economic growth,” Prof. Abukutsa said. Stakeholders engaged in intensive discussions to expand opportunities for amaranth production. 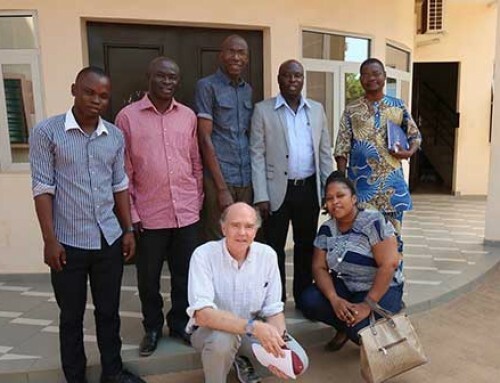 “Amazing Amaranth” Project Manager Dr. Roland Schafleitner said it was exciting to have key stakeholders in one platform to share experiences and explore opportunities and constraints in the amaranth value chain. Amaranth is high in protein (over 16%), has balanced amino acid content, calcium, potassium, iron, and vitamins A and C. “Amaranth is easy to grow,” Dr. Schafleitner said. “It is heat and drought tolerant, and resistant to many diseases.” He identified breeding, availability of specific varieties, overall seed supply and anti-nutrient content as the major constraints to the greater use of amaranth. Farmer groups from different regions of Kenya said that they like to grow vegetable amaranth because it needs less water and is less susceptible to disease than most other vegetables. They are well aware of the nutritional benefits of the crop, and like most Kenyans, like its taste. They sell amaranth together with other African traditional vegetables such as African nightshade or African eggplant at nearby markets. Better access to quality seed would prompt more farmers to grow this nutritious crop. 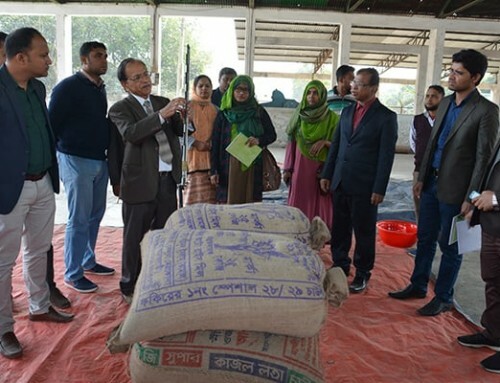 Representatives of Simlaw Seed Co. reported that they have the capacity to produce 20 tons of amaranth seed annually and will try to respond to farmer’s needs as far as possible. All farmers present at the meeting were keen to participate in variety trials to select better amaranth cultivars. Amaranth marketers made suggestions for value addition, such as using dried amaranth leaves and seed for biofortification of cereal products. Dr. Christine Chege of the International Center for Tropical Agriculture (CIAT) Kenya demonstrated the benefits of porridge fortified with amaranth for producers and consumers. Dr. Chege reported that her organization had applied the Nutrition Sensitive Value Chain (NSVC) approach to understand how to systematically mainstream nutrition in agricultural value chains. 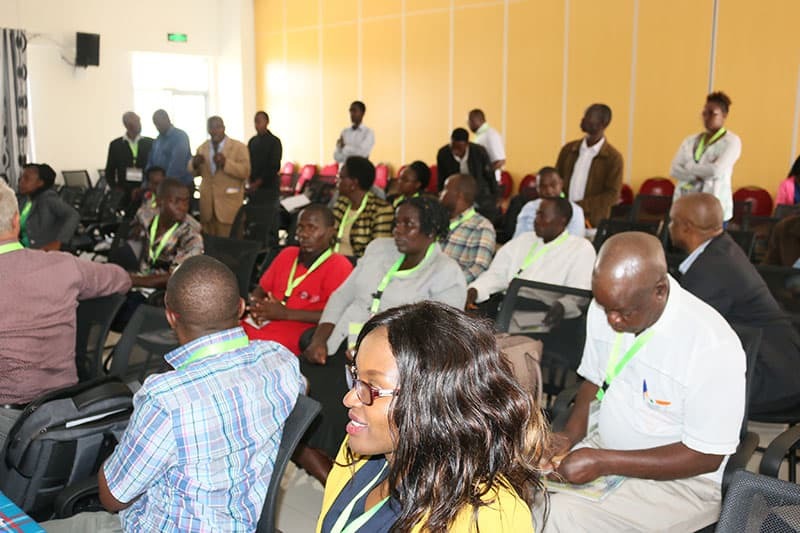 “Lack of access to land and financing, insufficient irrigation water, dysfunctional seed systems, low prices and limited technical skills constrain amaranth producers,” she said. Consumers grapple with high prices, poor quality, and an inconsistent supply of vegetables whose safety cannot be guaranteed. She called for a review of the seed system to ensure producers can access improved seeds, breeding new varieties, increasing public awareness of safe vegetables, and improved market systems. 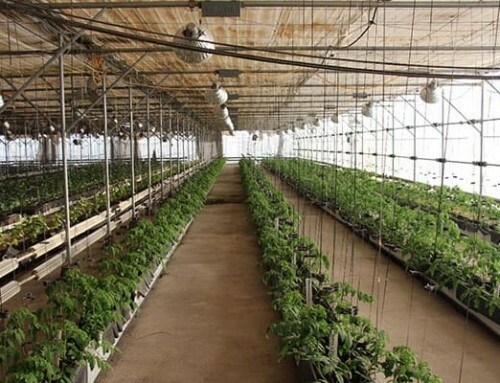 Good access to markets is crucial for making amaranth production profitable. Farm Concern International showed how farmers could get better access to fair markets and expressed interest in work with the “Amazing Amaranth” team. Representatives of the Ministry of Agriculture joined the meeting and voiced their support for the project, and a journalist gave advice on how best to communicate science to be understood by the general public. The highlight of the meeting was a very lively discussion moderated by World Vegetable Center Scientist Justus Ochieng eliciting opinions on needs and opportunities for improving amaranth production and consumption. 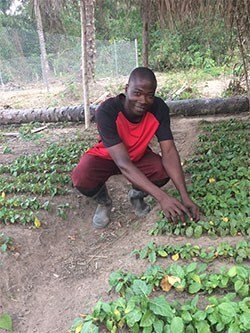 By 2022, the project hopes about 135,000 farm households in Kenya and Tanzania will have adopted improved amaranth cultivars; 530 hectares of agricultural land will be under improved amaranth cultivars; 460,000 consumers in Kenya and Tanzania will adopt improved amaranth food preparation methods; and about 140,000 women of reproductive age and children under 5 years will increase their consumption of amaranth as part of a healthy and diverse diet. 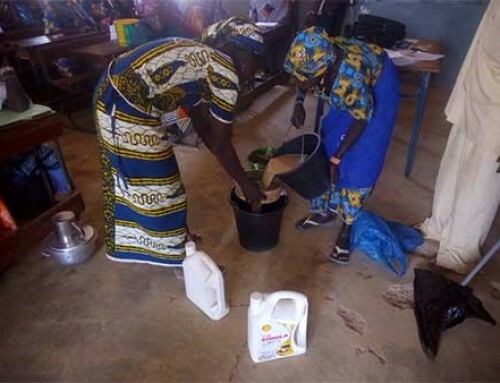 Farmers appealed for assistance in accessing quality seeds, better markets, and financing. Participants also called for a policy shift to address the bottlenecks facing the traditional vegetable sector. After the meeting, the participants had the opportunity to purchase seed of selected traditional African vegetable varieties. Amaranth: A versatile, nutritious vegetable.